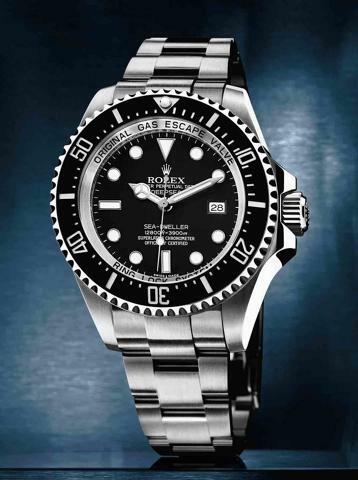 The pictures above show that Rolex and Hublot both have a totally different approach to the phenomenon of dive watches. 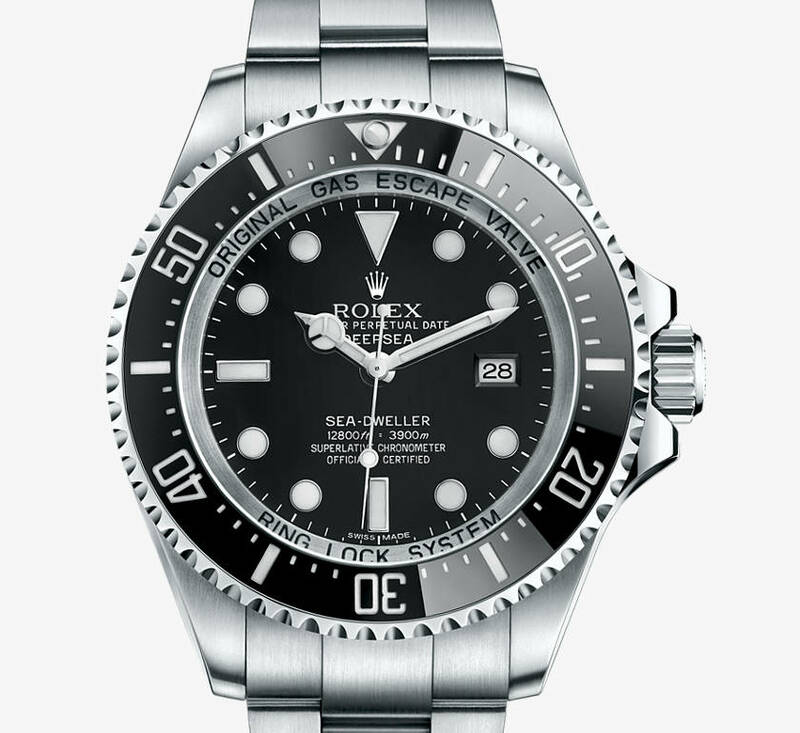 The Rolex is a more modest watch from which it’s exceptionality, being able to withstand water pressure at a depth of nearly 4.000 m, is not directly visible. 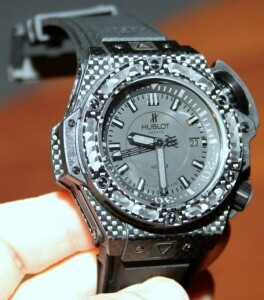 The Hublot is a very prominent watch which radiates the fact that it must be something special. Let’s take a closer look at both watches. 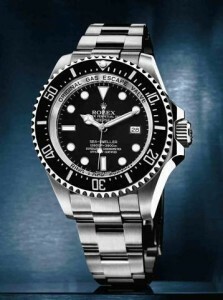 Nowadays every self-respecting watch brand has a dive watch in it’s collection. 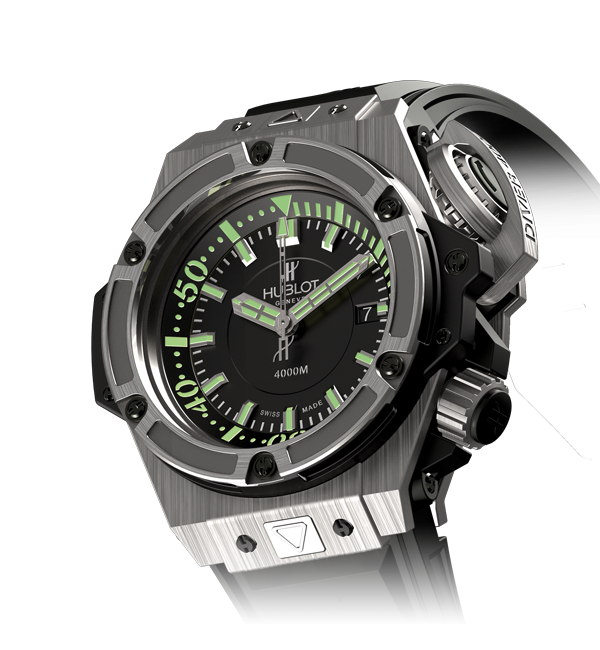 Before the arrival of Jean-Claude Biver, the current CEO of Hublot, Hublot already had dive watches in it’s collection. The line of models called Big Bang King contained several watches in radiant colours, with a turning diver’s bezel and waterproof to 300 m.
However the Oceanographic 4000 m was to be the first serious dive watch that Hublot was going to make. The most important question was ‘how are we going to make this dive watch a real Hublot? Not inhibited by any kind of modesty the watch had to be big and striking. In addition Biver’s ‘fusion’ philosophy offered the possibility of using exotic materials in the production of the watch. Most obvious and also actually used is carbon. Initially the watch was known as the 4000 m Diver but Biver likes to associate partnerships to a certain type of Hublot watch and in this case with the Musee Oceanographic de Monaco (watch case in titanium). The King Power style case has a diameter of 48 mm and sapphire glass with a thickness of 6.5 mm. Of course, there is a helium valve. In case anyone seriously wants to use the Hublot for diving he should definitely take the titanium version because the version in carbon is badly readable is at great depths. However, if one remains at the beach then the Hublot in carbon is an interesting option; the material is tough, has all kinds of applications in Motorsport and aviation, and can absorb shocks well. 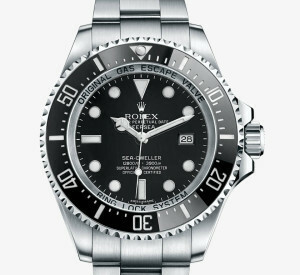 The large crown at 2 hours is used for setting the hands and the one at 4 hours for turning the inner diving bezel. The lever over the crown at 2 hours has no direct function and must above all be seen as an expression of design. Interesting and clever is the triangle between the lugs. This allows different straps to be easily exchanged. One has the choice between a rubber band for the ‘ work ‘ and a rubber/nylon band for ‘private’. The difference between the 2 watches is like day and night. Where the Hublot is expressive and flamboyant, the Rolex watch is a subdued watch but with an expression of force and robustness. The Deepsea already has a history of 53 years. On 23 January 1960 the Swiss oceanographer Jacques Piccard and U.S. Navy Lt. Don Walsh manned the Bathyscaphe Trieste on descending to the lowest point below sea level (feet/35.814 10,916 m). On the outside of the Trieste was an experimental Rolex Deep Sea Special (read article Jacques Piccard: 36,000 feet into the Mariana Trough). 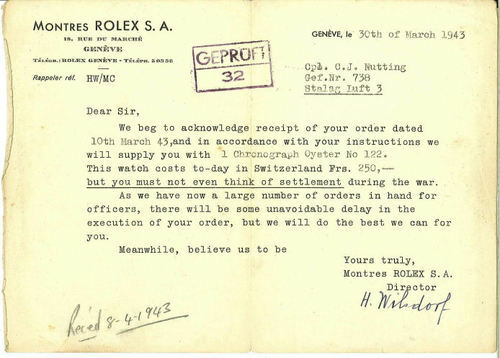 When the Trieste had resurfaced after the record dive, a telegram with the following text was sent to the Head Office of Rolex: “HAPPY ANNOUNCE TO YOU YOUR WATCH AS PRECISE AT 11,000 METRES AS ON SURFACE. BEST REGARDS JACQUES PICCARD”. During the 1940s and 1950s the developments in the diving technology caused a real explosion in the exploration of the seas and oceans. The professional diving world began to rely on the Rolex watches as an essential part of the equipment and they also contributed to the further development of the Rolex dive watches. There is no disputing about tastes. 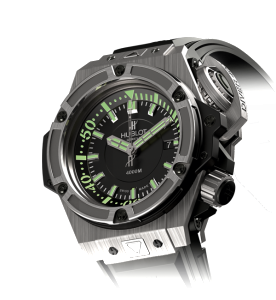 The Hublot Oceanographic 4000 m is created for a different audience than the Rolex Deepsea. The only thing that can be said is that the Rolex watch is much more an all round watch than the Hublot. 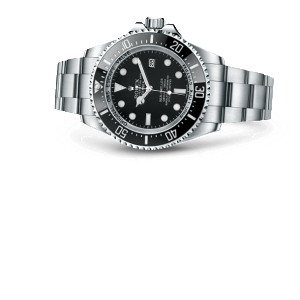 The Rolex is more subdued, can be worn for all types of occasions and clothing and has also proven to be an indispensable part of the equipment of professional divers; Hublot have yet to see to prove that professionals are going to wear this watch. The Hublot’s strong points are it’s flamboyant appearance, the easiness with which the straps can be changed and in the case of the carbon model the use of exotic material. In 1987, the Ferrari F40 was born to celebrate the fortieth anniversary of Ferrari. The F40 design was intended to take a specific prey in, but I will come back to that later. 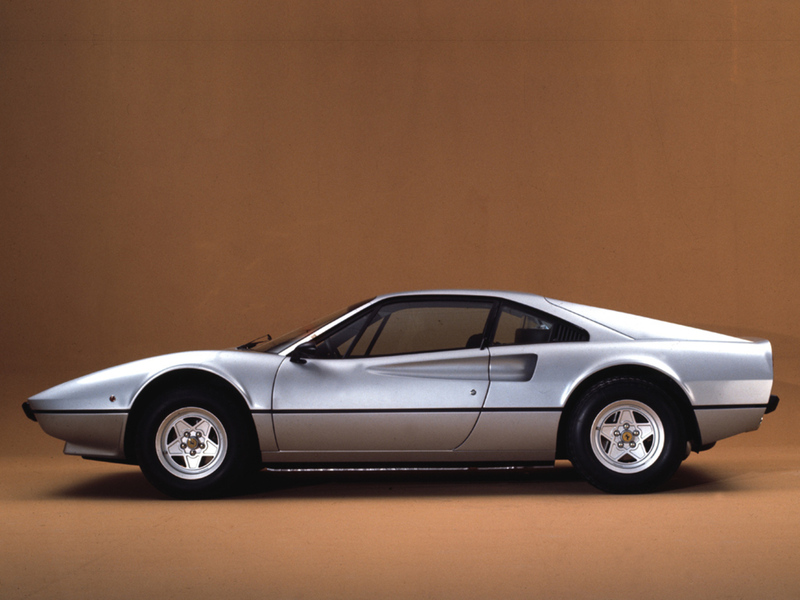 In 1975, the Ferrari 308 GTB was introduced at the Paris and London car fairs. 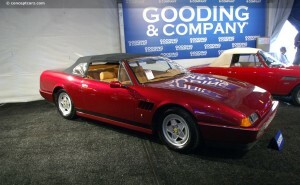 The car was designed by Pininfarina and built by Scaglietti. The engine was equal to the one used in the 308 GT/4, but the GTB had dry sump lubrication providing better cooling and a lower engine position. 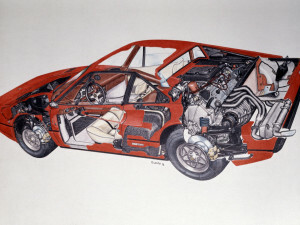 The frame design had copied a number of striking features of the Dino 246 GT, such as air inlets in the door, round 2-lamp rear lights and vertically concave rear windows which made it a very successful successor of the Dino. 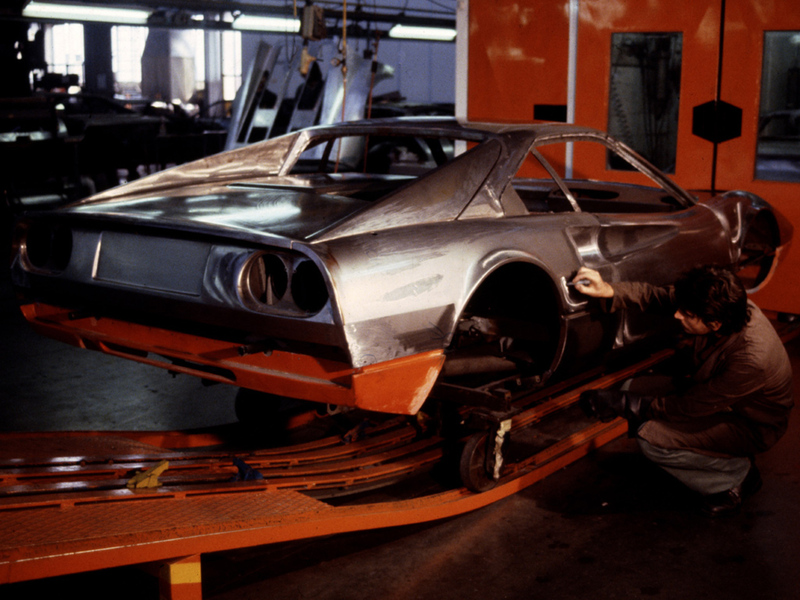 A not directly visible, but striking feature of the 308 GTB was the entire frame, except the aluminium front valve, being made of fibre glass. For Ferrari this was the first production car containing a frame made of this material, but at the same time the last one. Ferrari did not use fibre glass any more for a car manufactured in large amounts; after that however, loose parts like the front and rear wings or the nose of the car, were often made of fibre glass. From the autumn of 1976, the cars for the American market were manufactured with frames made of the more familiar pressed steel and aluminium, and from the mid 1977s the same was true for the European models. The models for the European market had tube frames with serial number F 106 AB 100. The 308 was provided with disc brakes and an independent wheel suspension with wishbones, springs and hydraulic shock absorbers surrounded by anti roll bars. The transversely positioned aluminium V8 mid-engine had the 90-degree configuration and a content of 2926 cc, with a bore and stroke of 81 mm x 71 mm (serial number F 106 AB 000 for the European market). The 308 had an ‘all synchromesh’ five-speed gearbox positioned below the engine and against the back side of the dry sump (the European models exclusively). 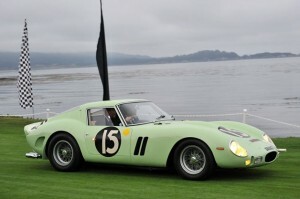 The cars for the European market had 255 HP, the USA models 240 (this in connection with emission regulations). All of the manufactured cars were provided with odd frame numbers. 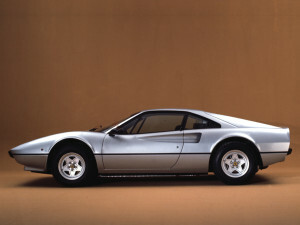 The production ran from 1975 till 1980 and during those years 2897 308 GTB/S were produced with the frame numbers 18677 to 34349. 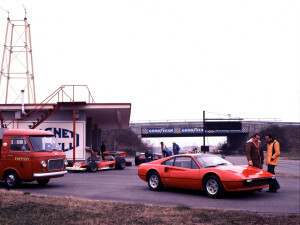 Ferrari developed the 288 GTO in order to take part in the new group of B Race series for which at least 200 samples were needed for homologation. However, after the death of Henri Toivonen and his co-pilot Sergio Cresto in the 1986 Tour de Corse the FIA did away with this racing class due to which only the Group A Rally championship remained. 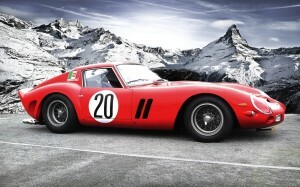 Eventually, the 272 280 GTOs built between 1984-1985 did not race, but remained road cars. By the way, Ferrari initially built 270 GTOs, but then they intended to present Niki Lauda (see article:’Niki Lauda: passionate race-driver) with a 288 to thank him for his efforts as a Formula I race-driver for Ferrari in the 70s (world champion in ’75 and ’77). Number 272 was built out of spare parts for an American car-lover. 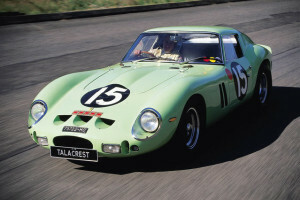 The first two prototypes had 2.88-litres V8s with KKK and IHI turbochargers respectively, the other four had GTO engines. When taking a first quick glance at the styling of the 288 GTO, it seemed a logical evolution of the two previous Pininfarina designs, the Berlinetta Boxer and the 308. However, it turned out to be a completely new car of which even the dimensions deviated from the previous models. The 288 was shorter, had a longer wheel base and was significantly broader, all features of a racing car. The air inlets and outlets were focused on racing as well. Furthermore, the high-positioned wing mirrors and the striking Kamm tail (invented by the German Professor Wunibald Kamm [1893-1966]; already applied to the 250 GTO) could be noticed leading to higher speed and more stability. Chromium could hardly be found on the 288 and even the Cavallino Rampante at the back side was black. The 288 GTO was delivered in one colour only: Rosso Corsa. The 288 frame consisted of fibre glass and composites. The bottom and most of the frame parts were made of pressed fibre glass, and aluminium, Kevlar and Nomex were also used for other specific parts. The tube frame consisted of several subframes attached to the central part around the cabin. The entire back subframe, with wheel drive and back wheel suspension, could be removed from the car in one part for faster maintenance (also typical of a competition car). The 288 GTO was driven by a longitudinally positioned 2.855 cc 90-degree V8 Twin Turbo light metal engine. The engine block was behind the passenger’s cabin and connected with the back transaxle. 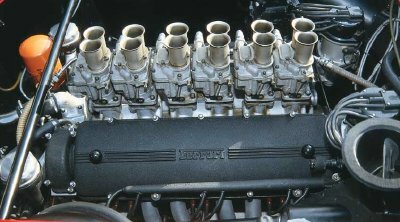 Every cylinder row had its own ignitor, its own large IHI Turbo with Behr Intercooler and was fuelled by its own aluminium fuel tank (two tanks, inter-connected, with a total content of 120 litres). The 288 was provided with an entirely synchronised five-speed gearbox with hydraulic single-plate coupling. 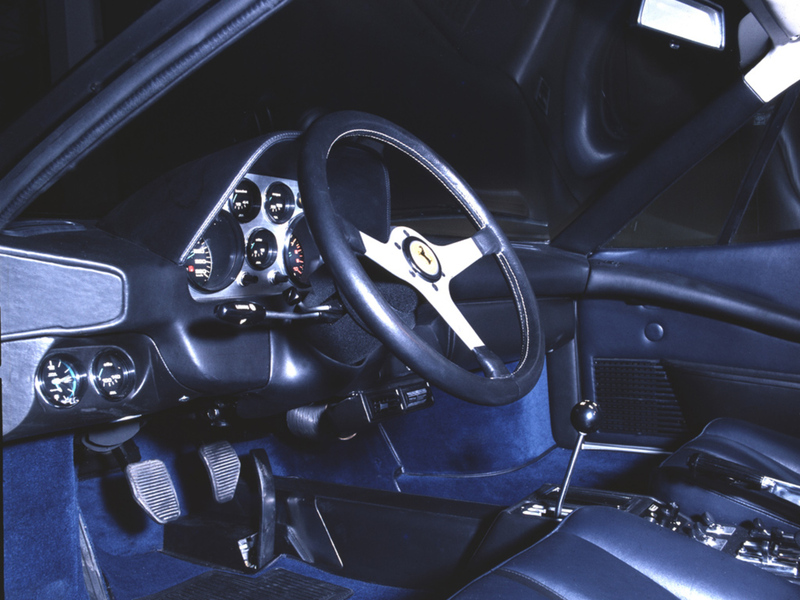 Although designed for racing the 288 GTO interior was far from spartan. The majority of the clients opted for kevlar, black-leather bucket seats, an option was black with orange hems. The dashboard was provided with non-reflective material and behind the three-spoke steering wheel were black/orange indicators. The car had climate control and sound reproducing equipment. 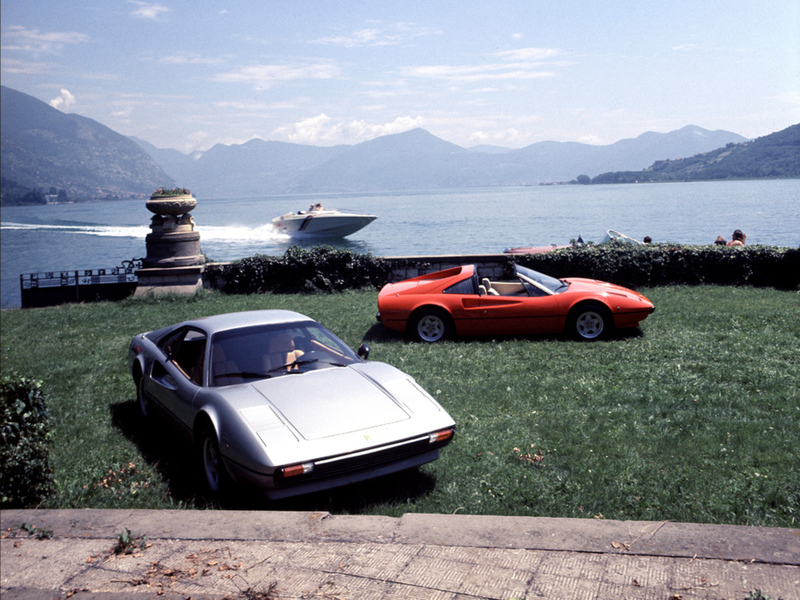 The 288 GTO was a fabulous car, but one thing kept bothering Ferrari. In the country of castles, frying sausages and beer festivals a car was manufactured that drove even faster than the 288GTO: the Porsche 959. This was the prey the F40 still to be developed had to hunt for. Ferrari developed a competition version of the 288 GTO, the 288 GTO Evoluzione, its sole purpose being to serve as a testing car for the F40 (Ferrari no longer participated in competition, Group B in the World Rally Championship). 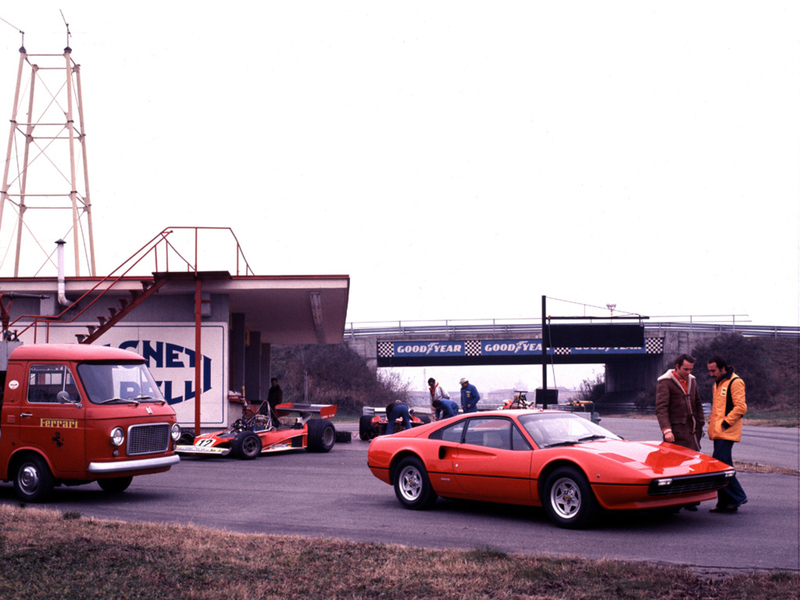 Giovanni Razelli, Ferrari’s general manager, called the Evoluzione a ‘mobile laboratory’. In mid-1983 Nicola Materazzi’s first priority was the engine. The F 114 B of the standard GTO had to be converted into the F 114 C. By relatively simple interventions, including increasing turbo pressure, its capacity was driven up from 400 to 600 hp. The total weight was reduced to 1,000 kg (including full tanks) and extensively aerodynamic testing was done. Eventually, Ferrari built 3 samples of the 288 GTO Evoluzione, chassis numbers 50253 GT, 70167 GT and 70205 GT, which are still being used for testing. On 21 July 1987, at Ferrari’s 40th anniversary, the Ferrari F40 was presented. At 11.09 h sharp, a Lancia Thema limousine driven by Enzo Ferrari was driven up to the entrance of the ‘centro civico’ in Maranello. The unpretending hall of the ‘centro civico’ was crowded with journalists from USA, Japan, Brasil, England, France, the Arabic States and Italy. The F40 was Ferrari’s answer to the Porsche 959, a delicate item in Maranello. Materazzi had watched the 959 project with interest, but he was also sceptical about it, stating:”As an engineer, I found the things they were doing in Weissach fascinating. But I don’t hold with the idea of packing so much technology into a fast road car. What tends to happen is that technology becomes an end in itself, which has a demotivating effect on the development team”. 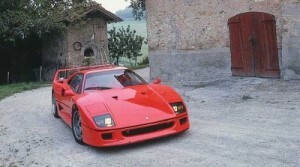 The F40 (also called LM) accelerated from 0-200 km/h in 12 seconds and its top speed was 324 km/h (201 mph). By making the frame parts out of composites the F40 weighed 100 kg less than the 288 GTO which was indeed a lightweight car. The F40 was nothing less than a racing car with a number plate. 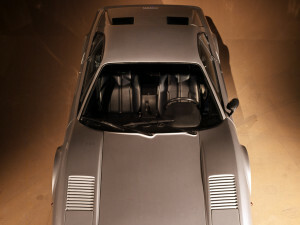 The hunt for the Porsche 959 could be opened. Following is an article written by prof. dr. ir. C.A. 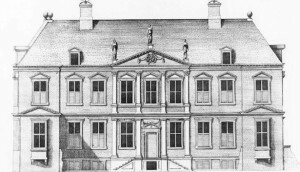 Grimbergen about the history of the Huygenshuis until it’s dramatic end in 1876. Mr. Grimbergen is among other things chairman of the Dutch Federatie Klokkenvrienden and chairman of the Dutch section of the Antiquarian Horological Society. 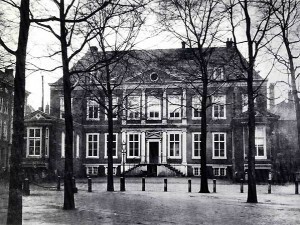 He has also been, for over 25 years, member of the Board of the Museum van het Nederlandse Uurwerk in Zaandam. As a whole the Netherlands have always been too modest about the the genius of Christiaan Huygens, who invented the pendulum clock and the balance spring. For years the only books written about him came from foreign authors. On the 6th of October 1997 spaceship Cassini was launched into space carrying the European spacecapsule Huygens, a name the Americans had come up with, to put it on Saturn moon Titan in 2004. The whole event got very little attention in the Dutch press. Swiss watch sales received a severe blow thanks to the outbreak of WOII and things only got worse when Germany occupied Vichy in France in November 1942 and neutral Switzerland was completely surrendered by hostile troops. 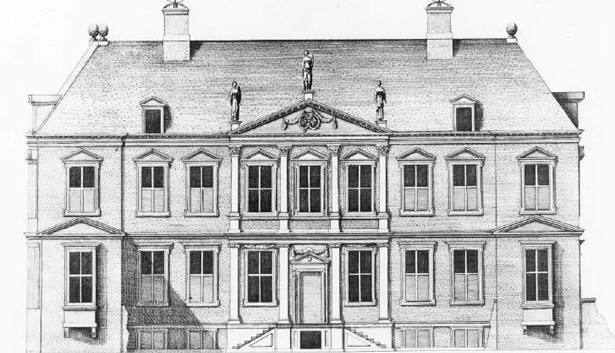 Watchmakers were closed off from their best clients, the British and the Americans. 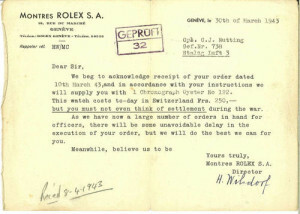 Rolex noticed that large numbers of British and American troops were literally on the doorstep to Switzerland, being held prisoner in the German POW camps. 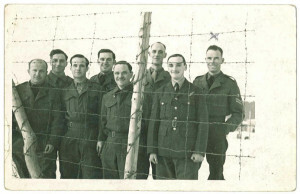 In camp Stalag Luft III in Sagan, Germany (now Poland) there were about 10,000 allied aviators who had been shot down over occupied Europe. In the whole German Empire thousands of officers were being held at several Oflag (officers POW camps). The genius of Hans Wilsdorf at that was that he, spring 1943, took a bet that the allies would win the war (significant because Wilsdorf himself was a German). He offered the thousands of POWs that they could get a Rolex now and that they didn’t have to pay for it until the war was over. 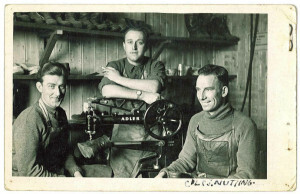 In a letter to Clive Nutting (more about him later) Wilsdorf wrote the following line: “…but you must not even think of settlement during the war”. Wilsdorf was convinced that his illustration of faith would have a positive influence on the state of mind of the prisoners. Besides this, having a watch was of great importance to this group of prisoners, mainly aviators; if they saw a chance to escape the only way to reach the border was by train and for this they needed exact time. The chronograph Rolex gave the prisoners the opportunity to exactly time the rounds of the ‘goons’ (camp guards) which lead to the ‘Great Escape’ on March 24-25 1944 when 76 men escaped through tunnel ‘Harry’ (in 1963 a movie was made called ‘The Great Escape’). Although most POWs choose the cheaper and smaller Speed King Clive Nutting (prisoner nr. 738 in Stalag Luft III in Sagan, Germany) became, on August 4 1943, the proud wearer of a new Rolex Oyster Chronograaf ref. 3525 (nr. 122, case nr. 185983). Two-body, polished and brushed, screwed-down case back, concave lugs. D. Matte black with luminous gilt-edged Arabic numerals, outer gilt minute/seconds track, subsidiary seconds and 30-minute register dials, outermost gilt tachometer and telemeter scales. Luminous gilt “baton” hands. M. 13”’, rhodium-plated, 17 jewels, straight line lever escapement, monometallic balance, self-compensating Breguet balance-spring, index regulator. Diam. 35 mm. Thickness 14 mm. 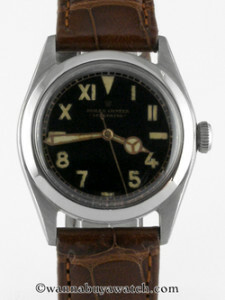 In the beginning of the 1940s the steel version cost 350 and the 18k gold 935 Swiss Francs. 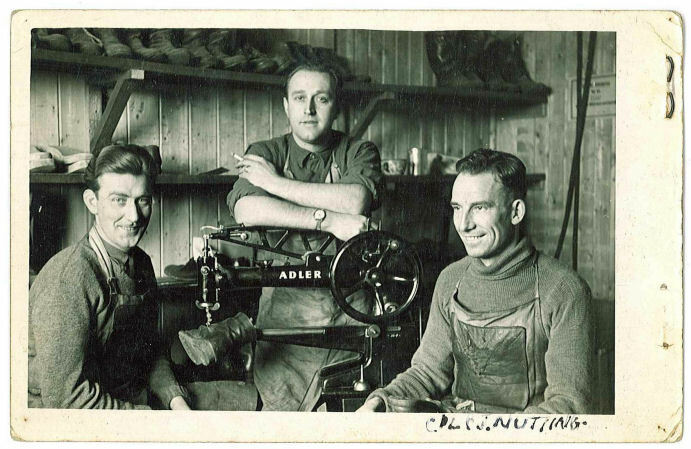 Clive Nutting (on the right) was a professional shoemaker and therefore he was of great value to both the Germans as to the other prisoners. The Germans paid him well for this so he could sent money to his family at home and lent money to other prisoners. Even in these circumstances he was somebody who could afford a beautiful watch. What makes Nutting’s watch so special is that is completely documented, at least until 2007. Directly after the war, when he came home in Acton, London in August 1945, he wrote to Hans Wilsdorf that his watch, although it had withstood the cold circumstances during evacuation from the camp well, it was now an hour fast. Where can I have it repaired? Can I get the final bill for the watch? 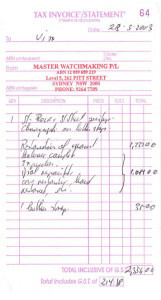 Because of English rate restrictions Nutting receives the invoice for 15 Pounds 12s 6d not before 1948. He kept the watch until he died in 2001 in Australia, 90 years old. 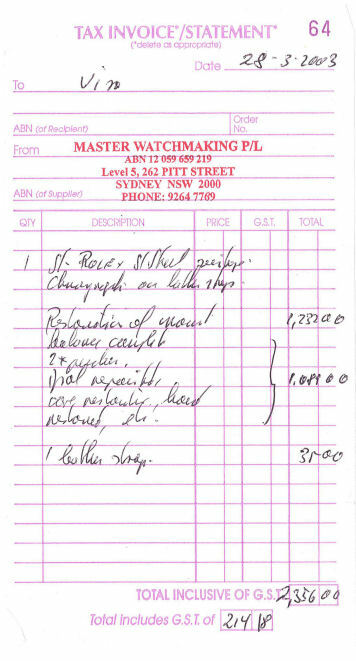 In 2003, dated March 28, there is an invoice for 2,356 Australian Dollar (1,400 Euros) from a watchmaker in Sydney for Nutting’s watch. 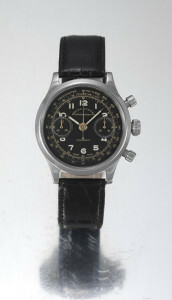 In 2007 the Rolex of Nutting was offered for sale by auction house Antiquorum Geneva. The estimated price was 80,000-100,000 but the watch wasn’t sold. The current owner of this historical watch is unknown.